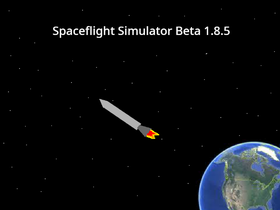 I’ve fixed my Spaceflight Simulator, I’ve just had to slow everything down a lot and change up the gravity scripts. Also check out my flip phone, as it was my first good project and months of work went in to making it what it is today. Give me some ideas for applets and features you want added! Cool Games, Systems, and More! The JOLLY colorers! Every one WELCOME!